What wages can I earn? What hours/time can I work? How old are most staff? Please complete and submit our Zodiac Swim School Staff Application form, together with copies of your current, applicable qualifications. The staff application can be found and downloaded from HERE. 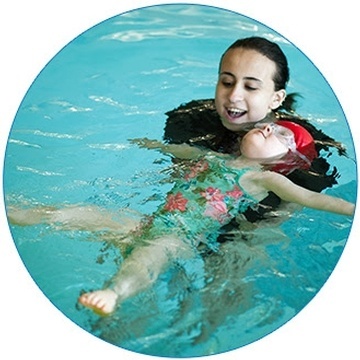 Zodiac Swim School accepts staff applications on a year-round basis for our Fall, Winter, Spring and Summer sessions. If your staff application is filled out completely, thoroughly and thoughtfully, you are most likely to be invited to attend an interview. Subsequent to the interview, if a mutual interest exists, references will be checked and if the applicant meets the needs of an available job, an offer of employment will be made. 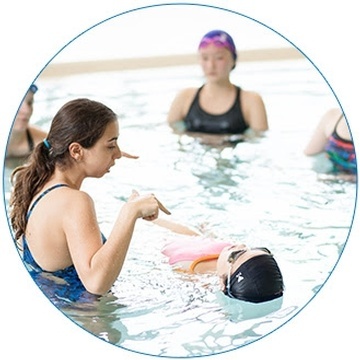 Zodiac Swim School’s staff hourly wages are very competitive with other programs. The hourly rate depends on certifications, experience, Zodiac loyalty, Zodiac Camp experience and varies from $11.40 - $20.00 per hour depending on qualifications, age, experience and type of position. Wages for all hours worked in a particular month are paid by no later than the 15th day of the next month. Zodiac’s shifts range from 2 to 5 hours in length. Staff may work anywhere from a single shift to multiple shifts. Most staff range in age between 16 and 22 years of age. Some older staff are employed in regular or supervisory positions.